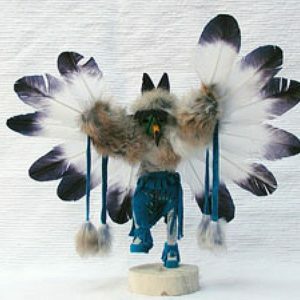 As a general rule the Red Tail Hawk (Palakwayo) can appear individually, when it functions more as sergeant-at-arms or policeman. 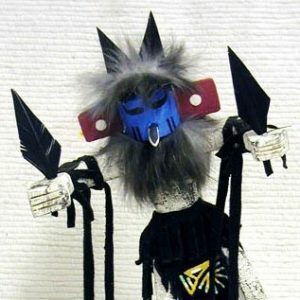 In this role they either enforce an action, such as community cleaning, or as guards to prevent the approach of anyone or anything to the proximity of a location or ceremony. 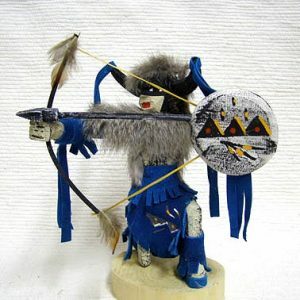 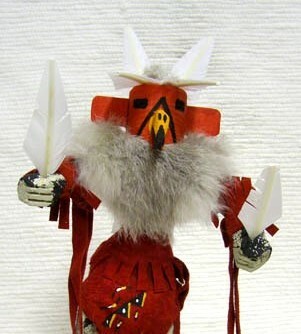 When the Red Tail Hawk appears with other Guard or Warrior Kachinas in a group they are functioning as warriors. 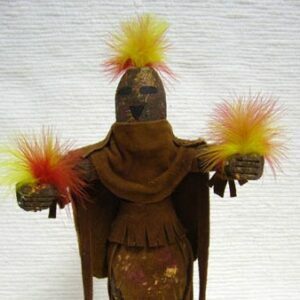 They surround the more sacred Kachinas as a small but ferocious army of fearsome creatures. 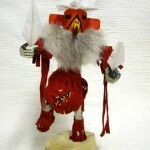 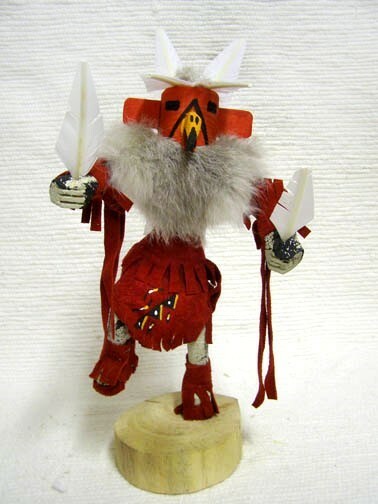 This Kachina only available in red as pictured & currently only in 6″ size.